DO-89802-51 was succesfully added to your cart. Monitor and control temperature or process applications with precision. These self-tuning controllers offer many options to fit your application. Choose from 1/32-, 1/16-, 1/8- (vertical), and 1/4-DIN sizes. Each controller has a dual LED that can display the following information: process value, set points, output status, engineering scale, auto tuning, and alarm status. Control methods include ON/OFF, PID, self-tune, and manual tune. 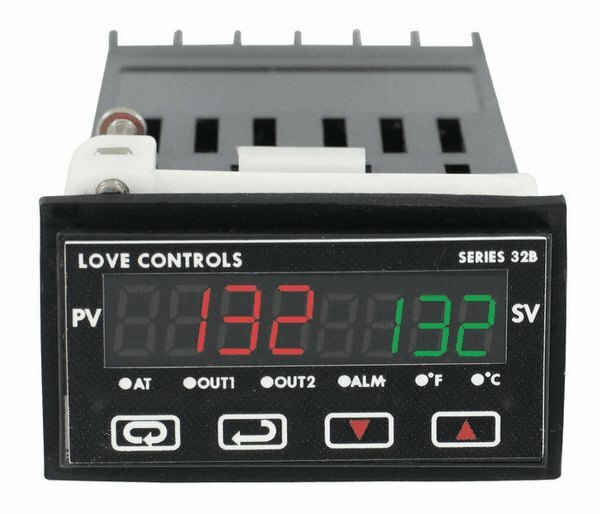 PID control is supported only on the B-series with 64 ramp/soak control options. Two alarm outputs are standard on all models which can be quickly configured with the choice of thirteen built-in functions. With a standard built-in RS-485 interface these controllers can easily communicate with other external devices such as PCs and PLCs. Models with output relay require snubber 89800-99 when connecting to an inductive load; order snubber separately.